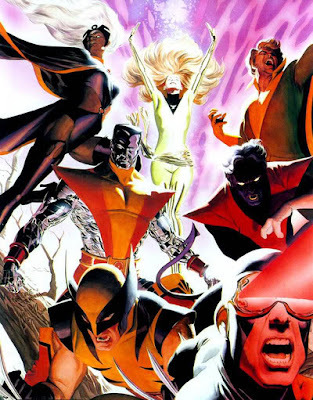 Over in this little part of the globe it's already July 8th and any Marvel fan worth their weight in mutants, knows it's the day the House of Ideas has dubbed 'X-Men Day'. Retailers taking part in the festivities, will be able to reward you with free x-kit and variants, as you stop in to pick up your new copy of this week's X-Men #1 - which from the cover features the JLA of mutants, all the big-guns assembled under one of seven variant covers. Me, I took a little while to get The Uncanny X-Men. The first issue I ever purchased didn't really convey the concept and it seamed like 'just another' super-team. See folks, every issue truly is someone's first! 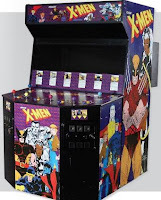 Nowadays I can debate my 'dream team' with the best of them, lament the loss of Nightcrawler to the franchise, heck, one of my 'first moves of winning Lotto' even, is to track down a Konami X-Men arcade game (like the one that stole all my money a few years back) and haul it back to my studio for a lifetime of punishment. Enough of the wishful thinking though. In tribute to The X-Men and this X-Men Day, here is one of my favourite group shots of the 'All New, All Different' done by the ever-amazing Dave Cockrum, and its breathtaking homage, by none other than painter Alex Ross. Alex Ross and X-Men - and here I thought it was last week on IADW that had a theme! That said, what is your best X-Men memory? Thanks for those great comments CBL! 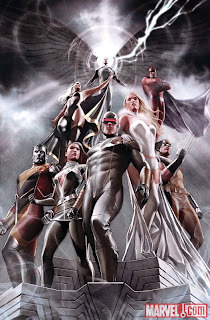 X-Men #1 would definitely be a holly grail moment!! Such an iconic cover too, let alone the first appearance of the tight five, and Magneto! 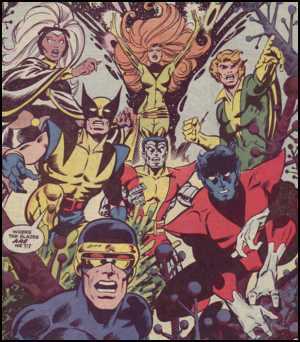 Readers of IADW, if you're looking for great bargains and possibly your own X-Men #1 be sure to check out what's found and up for grabs at CBL's blog; http://comicbooklistings.blogspot.com !